On Sunday, October 7, WIOV will host their 21st annual FallFest, co-presented by Turkey Hill. 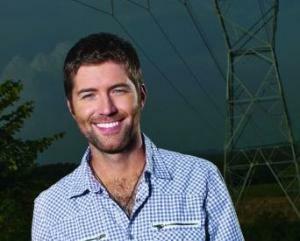 This all-day country music festival will feature top-notch entertainment by country stars Josh Turner, Gloriana, The Lost Trailers, Kristen Kelly and local favorite Stephanie Grace. FallFests of the past have included such notables as Keith Urban, Little Big Town, Chris Young, Lauren Alaina, Brad Paisley, Jake Owen, The Band Perry, Sara Evans and Kenny Chesney. Over the past few years, WIOV’s FallFest has drawn more than 40,000 country music lovers annually. This free event is generously sponsored by many local businesses who help to underwrite the costs. Even though attendance is free, attendees must have a ticket. Tickets are available at participating Turkey Hill locations. FallFest has grown by leaps and bounds over the years and has changed locations several times to accommodate the legions of fans who flock to see performances by both internationally known, and up-and-coming artists. In addition to great country music, this year’s FallFest will feature a number of food and beverage vendors, a children’s play zone, and a Sports Zone for fans to stay on top of NFL, MLB, and NASCAR action. As if all this weren’t enough, several lucky fans will win special Winner’s Seating, and one of those fans will be selected for The Ultimate Backstage Experience, where they’ll have the opportunity to meet all five artists! So, if you’re within a few hours driving time of Lancaster, why not make it a musical weekend. Stop by AMT on Saturday, October 6 and catch one of the final performances of American Icons (show times are 3:00 and 7:30 p.m. – click here for tickets,) then on Sunday, October 7, head over to WIOV’s FallFest at the Overlook Community Campus. Make sure to tell them your friends at AMT sent you!